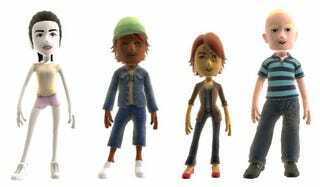 The virtual wardrobes of the Xbox 360's Avatars have expanded, offering exciting new options to outfit your virtual self, including booty shorts and sporty vests for the girls and terrible denim options for the guys. The addition of short shorts is most welcome, considering how it has been here in Los Angeles. I'm sure my Avatar is feeling the heat. Most of the additions are too small to notice, as some are simply jewelry updates, something I won't apply to my own Avatar, for I'm afraid to walk through the Xbox 360's "Night" theme with anything too flashy. I don't trust some of those friendly Avatars. For the list of new additions, read on.